Sweet and simple! 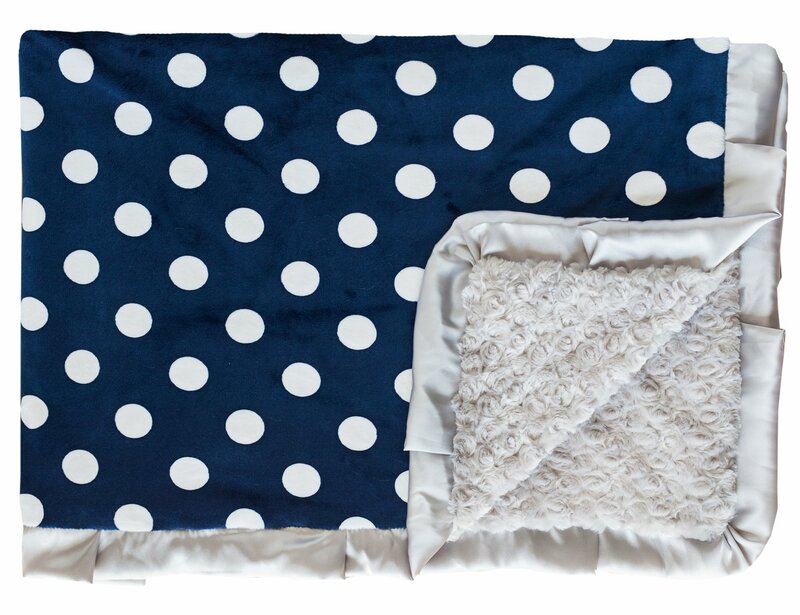 Navy background with white polka dots. Silver minky back and silver satin ruffle.